Note: This is the draft of the article. 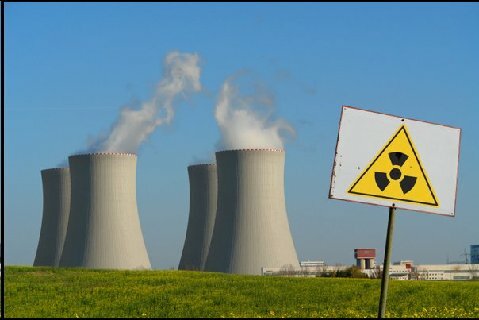 Strontium-90 concentrations in baby teeth of 515 children born mainly after the end of worldwide atmospheric nuclear bomb tests in 1980 are found to equal the level in children born during atmospheric tests in the late 1950s. Recent concentrations in the New York-New Jersey-Long Island Metropolitan area have exceeded the expected downward trend seen in both baby teeth and adult bone after the 1963 ban on atmospheric testing. Sharp rises and declines are also seen in Miami, Florida. In Suffolk County, Long Island, Strontium-90 concentrations in baby teeth were significantly correlated with cancer incidence for children 0 to 4 years of age. A similar correlation of childhood malignancies with the rise and decline of Strontium-90 in deciduous teeth occurred during the peak years of fallout in the 1950s and 1960s. Independent support for the relation of nuclear releases and childhood cancer is provided by a significant correlation with total alpha and beta activities in local surface water in Suffolk County. These results strongly support a major role of nuclear reactor releases in the recent increase of cancer and other immune system related disorders in young American children since the early 1980s. From 1954 to 1964, average picocuries of Sr-90 per gram calcium in the vertebrae of New York adults rose from under 0.1 to 2.2, more than a twenty-fold increase. The estimated dietary uptake of Sr-90 in adults rose thirty-fold, from 1 picocurie per gram of calcium in 1954 to 29.8 in 1964. The 1964 peak in Sr-90 concentration occurred just after ratification of the Partial Test Ban Treaty by the U.S. that ended American, British, and Soviet atmospheric nuclear weapons tests, while a relatively small number of French and Chinese tests continued. (Underground tests replaced atmospheric tests in the nations that signed the treaty). Thereafter, levels in New York and San Francisco declined sharply after the cessation of testing above ground. In the years 1964-70, dietary uptake of Sr-90 in adults declined on average by 15.7 percent each year. The Public Health Service’s data show a similar increase and decline before and after the peak of 1964. Federal support for this effort was withdrawn in 1971. The U.S. government also participated in a study measuring Sr-90 concentrations in the baby teeth of about 60,000 children by the St. Louis-based Committee for Nuclear Information (CNI) begun in 1958. The use of baby teeth made it simple to collect large samples, rather than relying on autopsy results. (5) The baby tooth analysis showed a rise from 0.77 pCi Sr-90/g Ca for 1954 births to a peak of 11.03 for 1964 births, just after the Test Ban Treaty. (6) From 1964 to 1970, Sr-90 in St. Louis baby teeth fell by more than half (Figure 1), about the same average annual rate of decline (15.7 percent) displayed by adult uptake in those years (Figure 2). One exception to this pattern took place from 1958 to 1961, when the U.S. and U.S.S.R. observed a voluntary moratorium on nuclear testing.